' 'Dirty work' was the first ... set of words that came to mind to define what I had been doing for the past two years,' says frontman Alex Gaskarth. By now, you are probably aware that All Time Low's new album is called Dirty Work. But aside from the obvious Norm Macdonald connotations, you're probably not sure why the band chose that title. And really, we weren't either. So when All Time Low stopped by the MTV newsroom on Friday, we asked them to explain the meaning behind Dirty Work, the follow-up to last year's Nothing Personal album. And, yes, Norm had plenty to do with it. "Well, the Rolling Stones have a record called Dirty Work, and we were really inspired by that," drummer Rian Dawson laughed. "And there's a great movie called 'Dirty Work,' too, so obviously, Norm Macdonald was a big influence." "Luckily, none of our fans know who the Rolling Stones are," guitarist Jack Barakat added. "So it's not a problem." And to think there was a time when those same fans were worried that, thanks to the album's title — and self-described "gritty" sound — All Time Low were trading in their tighty-whities for the grave garb of serious artistes. That's definitely not the case on their new album though. As frontman Alex Gaskarth explained, the album does represent a shift for the band ... which is the real reason they decided to call the disc Dirty Work. "I think one of the big things that came along with this album, and the process of making this album, and the whole jump to a new label, [was] a lot of anxiety. About where were we going to go, so there's a lot of that on the record," he said. "And there's also [a lot] about reaching a point in my life, personally, where things were starting to be torn apart, relationship-wise, and not having the time to be with certain people. And a lot of that's reflected in the album, feeling as though I was an island stuck in the middle of an ocean. "[So] Dirty Work was inspired by the subject matter on the record, where it's this toss-up of being wrapped up in what we do, and having the fun and the good times, and kind of pulling that blindfold down in order to ignore the fact that other problems are crumbling around you," he continued. "You have these songs about the good times, and then there are also these songs about 'Wow, because of these good times, everything else is completely burning.' 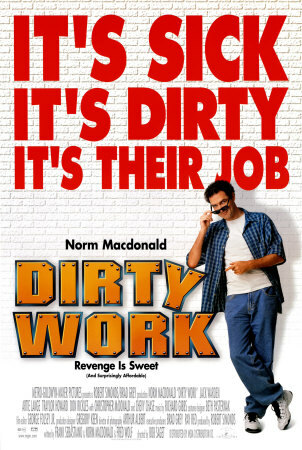 And 'dirty work' was the first ... set of words that came to mind to define what I had been doing for the past two years. It was 'dirty work.' "
So, Dirty Work — which is due early next year — finds All Time Low at a crossroads. On one hand, they're still the party-hearty goofballs you've grown to love. On the other, they're rapidly maturing musicians looking to express their newfound emotions. Both sides show up on the album, and ATL know it's a risk. But they're confident their fans will come along for the ride. After all, deep down, they're still the same band ... just, you know, a little older and wiser. "You listen to this record and you're not going to be like, 'Oh, is that Kings of Leon?' It's not going to be like that," Dawson said. "But you are going to hopefully say, 'Wow, that's a better song than they've ever written.' "